Place a steamer insert into a saucepan, and fill with water to just below the bottom of the steamer. Cover, and bring the water to a boil over high heat. Add the kale, recover, and steam until just tender, 7 to 10 minutes depending on thickness. 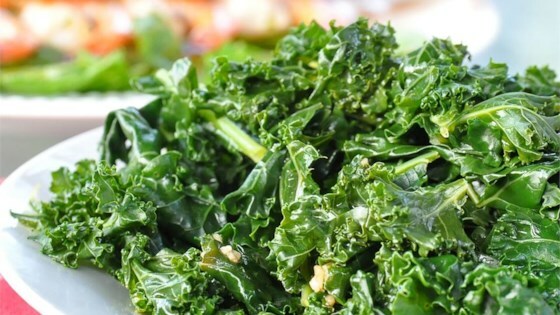 See how to make an easy, healthy kale side dish. I added a bit of fresh chopped red cabbage to add a bit of crunchiness and take away a bit of the bitterness.